Here’s a photo taken from Pegasus in July 2012, showing the entire Harley fleet in New York that night. HMS Justice has been around since also, although I’ve not seen her in a while. Kyle Stubbs recently sent along a set of Harley photos, which are divided into two groups here. Take it away, Kyle. All photos were taken in Seattle unless stated otherwise. “EAGLE was built in 1979 by Modern Marine Power as DALLAS J ADAMS for Doucet & Adams on the Gulf Coast. In 2000 she was purchased by Harley and brought west. 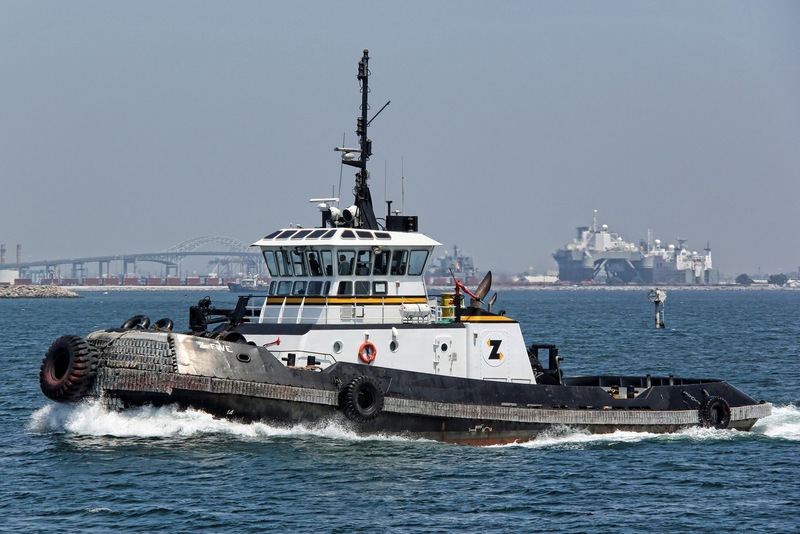 Z-FIVE, pictured underway on LA Harbor, was built in 1999 by MARCO for Tugz International of Ft. Lauderdale, and eventually sold to Harley where she is used on the California coast along with her sisters Z-THREE and Z-FOUR. 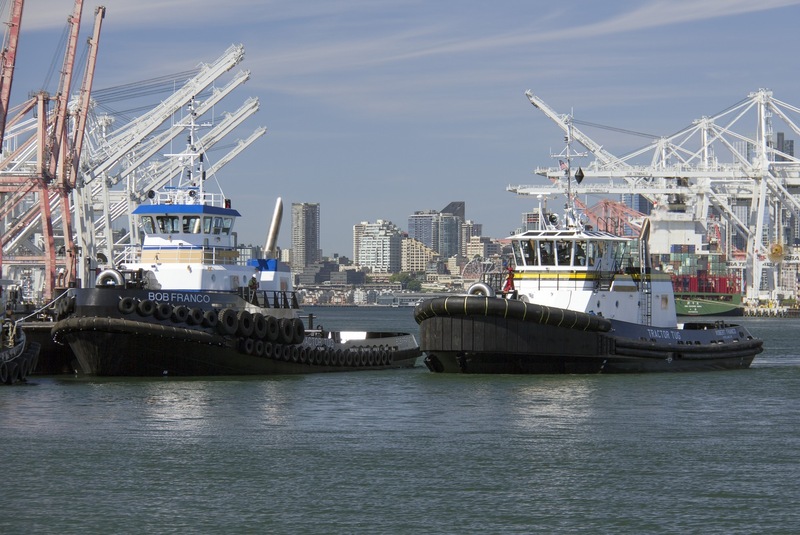 The photo of BOB FRANCO and ROBERT FRANCO shows both soon after delivery in 2013, the former from Diversified Marine of Portland, OR and the latter from Nichols Brothers of Freeland, WA. LISSY TOO, pictured passing Longview, WA on the Columbia, was built in 1974 by Sneed Shipbuilding of Orange, TX as MISS SAN. She later wore the names CREOLE SAN and RENE before being purchased by Harley. LELA JOY was built in 1970 by Halter Marine Services as MODOC. 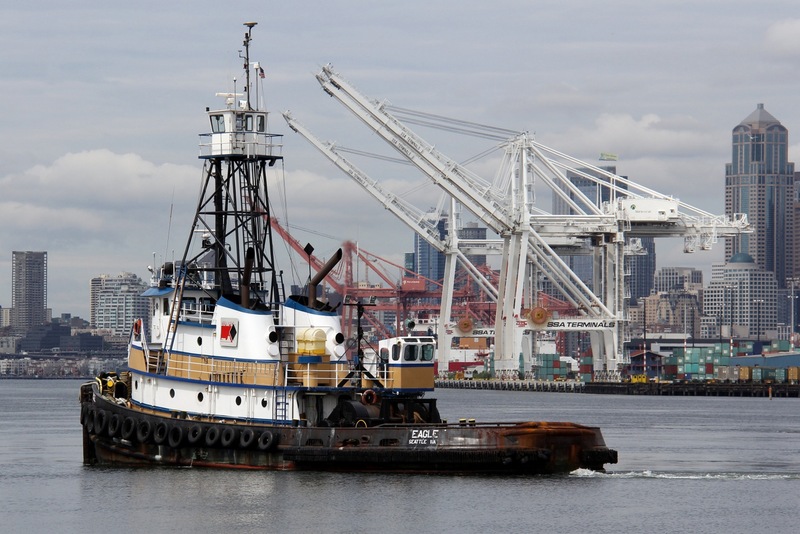 She was acquired by Harley in 1972 and renamed WILLAMETTE CHAMPION before being sold and renamed JANET R. In 1993 she was reacquired by Harley and gained her current name. 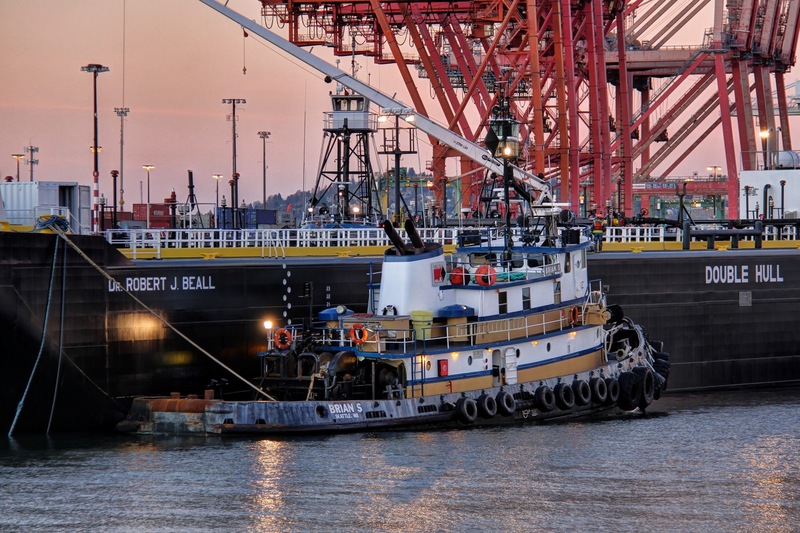 GRIZZLY, pictured at the Port of Tacoma, was built in 1943 by Equitable Equipment as the US Army freighter F 18. 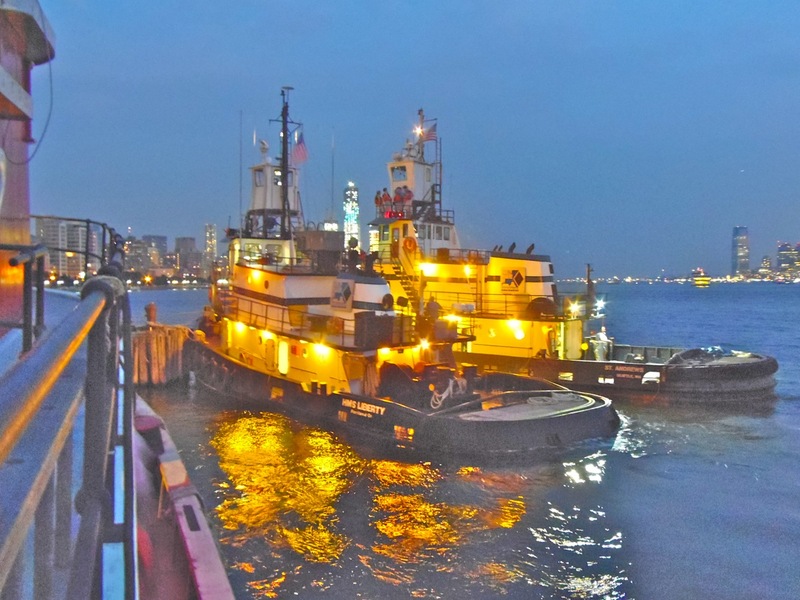 She was later converted to a pusher tug by Smith Tug & Barge for use on the Columbia. After changing hands several times, she was purchased by Harley in 2007. 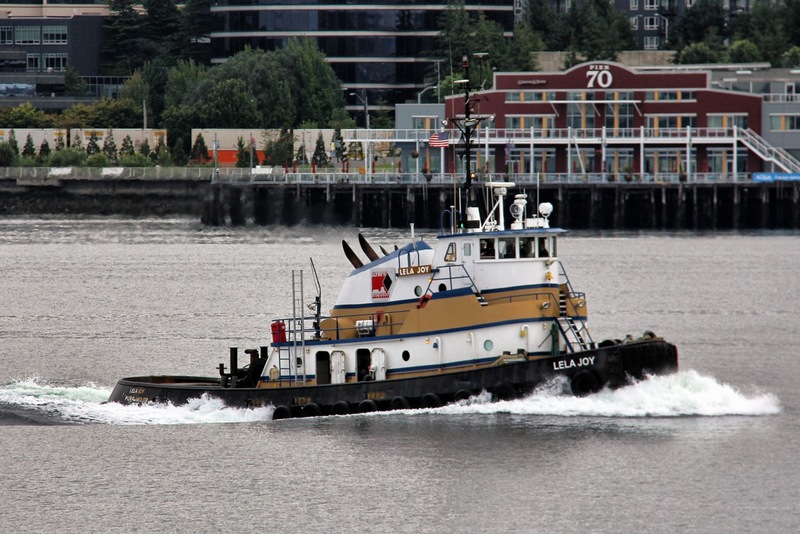 BRIAN S, built by Main Iron Works in 1963 is a long-time Northwest tug. 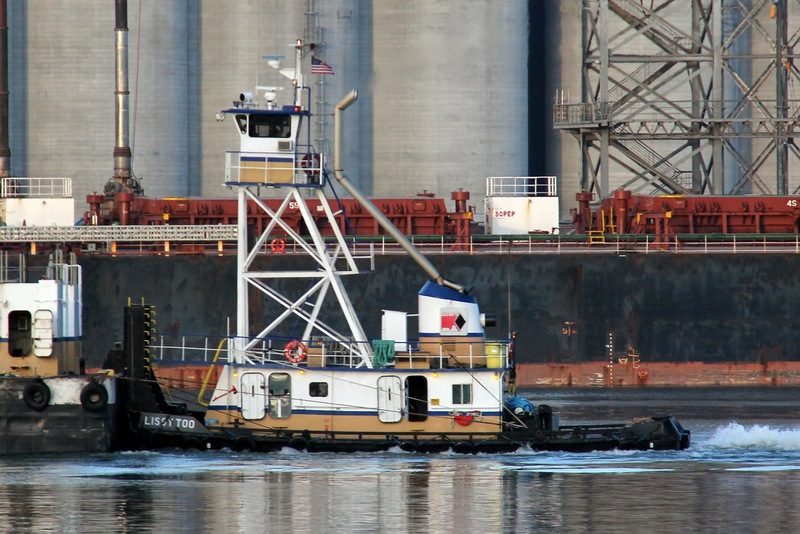 After being operated on the Gulf coast from 63 to 74 by Gulf Mississippi Marina and then Guidry Brothers, she was brought to the west coast by Foss Maritime and renamed MARGARET FOSS. In 1989 she was purchased by Oregon-based Sause Brothers and renamed GO-GETTER. She spends most of her time now based in Port Angles. 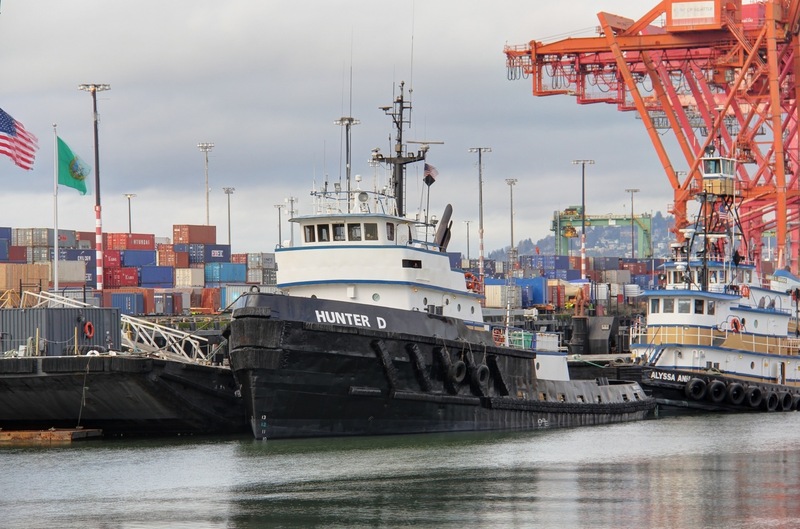 HUNTER D was built in 1970 by Albina Engine & Machina Works of Portland, OR as MALANAE for Hawaiian Tug & Barge, and acquired by Harley in 2002.” In the background is ALYSSA ANN, which we get a better photo of soon. Again, all photos here come compliments of Kyle Stubbs. Part b . . soon. For an index of all previous “thanks to” posts, click here. Not so many big water ships/towing vessels in LA Harbor as I’d expect. Used to be a bunch more, a couple of Dutch Salvage types used to be there, but they’ve probably gone down coast to LB. 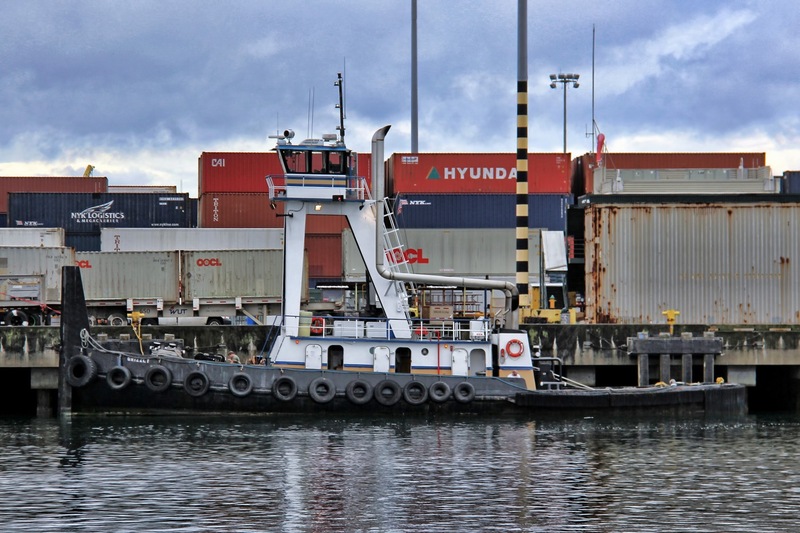 unmanned in a triple tow by Foss Maritime to Hawaii from Seattle as soon as the weather improves. and below-water fendering system to accommodate assistance to submarines. While riding as a guest on Z-FIVE it was explained to me that the work ended for the tugs at Pearl Harbor and they were brought to San Francisco for a new career. Archived AIS makes the case. HMS Justice has been down in Philly since I got here in May.